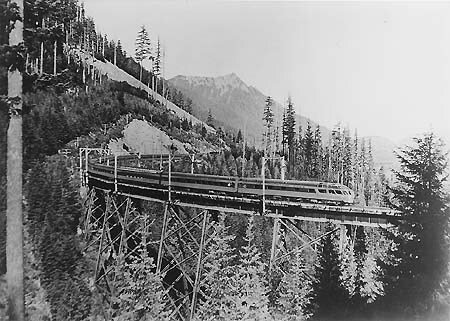 In 1900 started the North Coast Limited of the Northern Pacific Railway from St. Paul to Seattle, in 1905 followed the Oriental Limited Chicago - Seattle by the Great Northern and in 1911 the Olympian by the Chicago, Milwaukee, St. Paul and Pacific Railroad, the "Milwaukee Road". 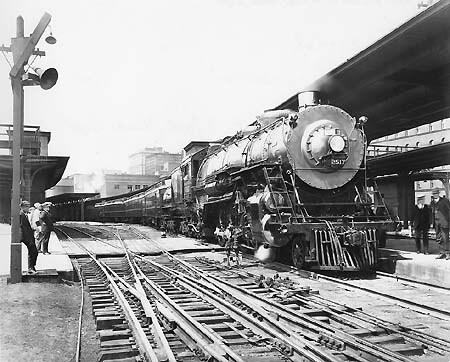 In memoriam of James Hill, the prestige train of the Great Northern in 1929 became the Empire Builder. 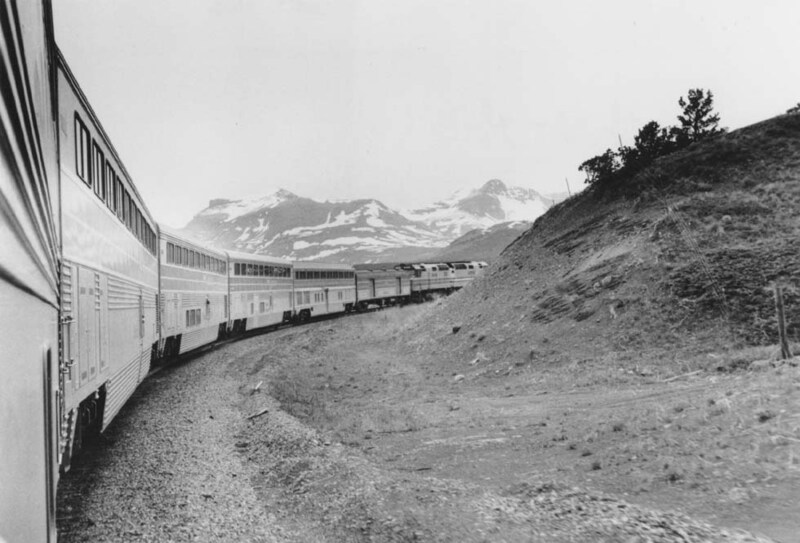 Only in 1947 the Empire Builder was equipped as a streamliner, with dark-green/orange cars, GM diesels and, until 1956, streamlined electric twin-engines on the electrified mountain section. 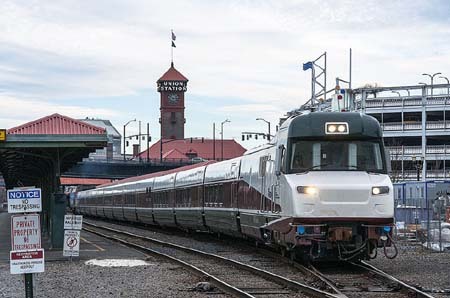 Finally, full-length dome cars were added. 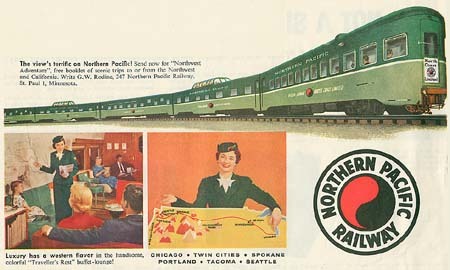 The North Coast Limited became a streamliner in 1947/48, in green/light-green colors, styled by Raymond Loewy. In 1948 the Olympian Hiawatha Chicago - Seattle was introduced by the, the Milwaukee Road, streamlined and orange/maroon colored. 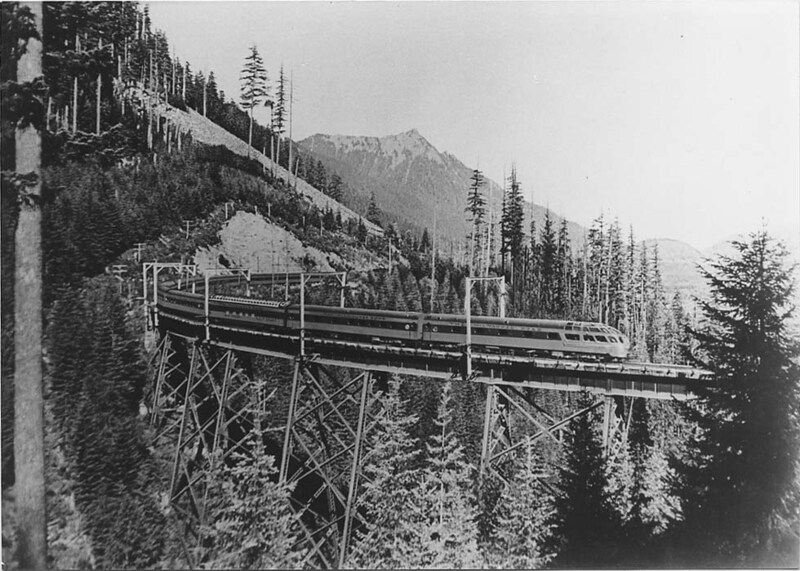 A "Sky Top Solar Lounge" was designed by Brooks Stevens. 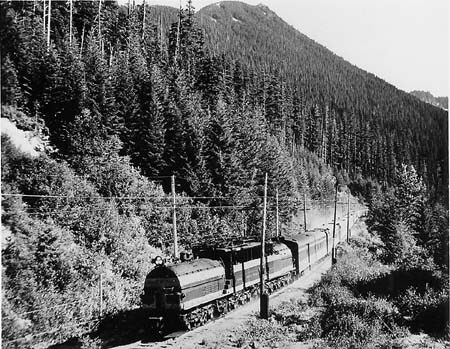 On the mountain section it was hauled by huge GE electrics, initially destined for Siberia. Amtrak continued to run the Empire Builder. 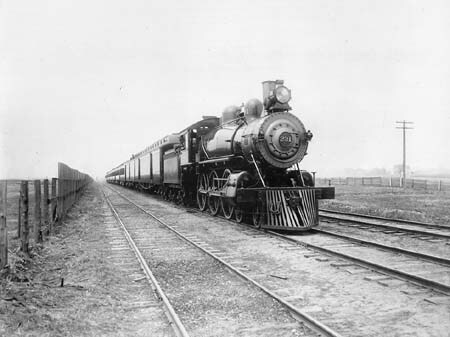 It was the first train to be equipped with the magnificent Superliner cars, developed from Santa Fe's Hi-Level type, hauled by F40PH, later P42DC diesels.